How many times have you been promoted? : Three! What is your favorite part about Insomnia Cookies? My favorite part of Insomnia Cookies would be our yearly Summit. It gives us a chance to meet and greet everyone from the various departments, learn new information as well as have a great time, food and laughter with the Insomnia Family!! 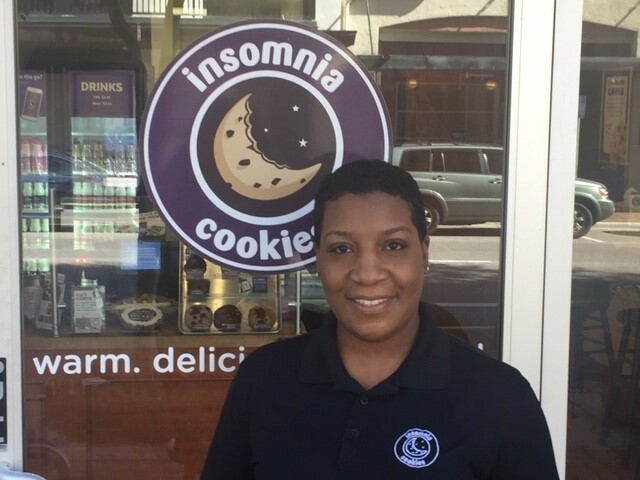 Would you recommend Insomnia Cookies as a company to other people? I would definitely recommend Insomnia Cookies to other people. Insomnia strives to foster and develop people from within. Everyone is approachable and accessible and will give you the tools and knowledge you need to succeed! !